Over the past five years, Hungary’s insurance market has achieved almost five percent growth in gross written premiums, on average. This year, the sector is on track to achieve gross written premiums of over HUF 1trn ($3.48bn) for the first time in its history. Anett Pandurics, CEO of Hungarian Post Life Insurance, one of Hungary’s top insurance companies, told World Finance that despite this impressive growth, there is no reason for anyone to rest on their laurels. The market still has plenty of potential for further expansion. Hungarian Post Life Insurance has always been at the forefront of the digitalisation of Hungary’s insurance industry. Since 2003, the company has aimed to meet clients’ demands by making its services quicker and more efficient. 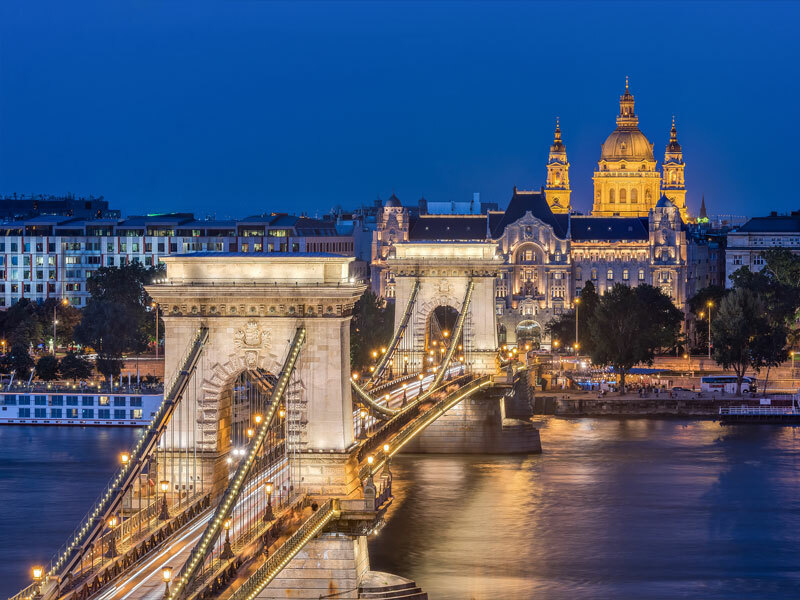 World Finance spoke to Pandurics about the challenges in Hungary’s insurance market and the opportunities the company has found. What areas could insurance companies in Hungary expand upon? The Hungarian National Bank’s 10-year strategic plan, which was created in 2017, predicts there will be more than one million new self-care savers in the years to 2027, including those who have pension insurance policies or voluntary pension fund memberships. We expect that more than 300,000 people will have pension insurance policies by the end of this year. There is, therefore, plenty of room for expansion in this regard. Additionally, in response to recent economic development, households and companies that are already strengthening could and should increase their property damage coverage. The opinions of experts in the central bank may seem optimistic. According to the bank, there is an opportunity to triple life insurance gross written premiums and double non-life gross written premiums during the 10-year period. If the growth seen in 2018 continues, this goal could be achieved. However, there are also a number of downside risks to consider and many tasks to be done in order to achieve this goal. Could you elaborate on the current challenges in the market? Although interest rate increases have already started in the US, Europe is still waiting for this to occur. According to forecasts for Hungary, we must prepare for an extremely low interest rate environment in the medium term. We should also not forget that as a result of activity over the past decade, the volume of delayed investment on the retail side is fairly significant. People are consuming, restoring or buying new properties, and at such a time it is difficult to attract a large number of new long-term, self-care savers. With regard to single premium insurance policies, the Hungarian National Bank expects that gross written premiums will expand by only HUF 2bn ($7.1m) this year. And even in the case of regular premium life insurance policies, the Hungarian National Bank estimates growth of only 2.1 percent. Today, the aforementioned pension insurance is the main driver of the life insurance branch. This is where the 20 percent tax advantage, from which more than 200,000 clients benefitted last year, has a major role. At the same time – according to a presentation given by Dr. Csaba Kandrács, Executive Director of Financial Institutions Supervision at the Hungarian National Bank, during the 2018 Portfolio Conference: while 85 percent of the respondents agree with self-care, 76 percent of them think money should be spent on something other than pension savings. In the survey, one insurance company questioned people aged 30 or over, out of whom every fifth person said they were too young to consider this issue. What internal issues are making development more difficult? Progression relies upon resources. These resources must comply with the new provisions set out by the legal regulatory environment. Before the financial crisis, there were 75 sets of rules regulating insurance companies – today there are 148. It is telling that in Hungary, the total expense ratio calculation – which was implemented five years ago as a result of the self-organisation of the insurance companies – now runs parallel to the information provided in the key information document. Though the two statements stem from a common source in many aspects, they are not identical. This often causes problems in sales. New ‘insuretech’ companies bring another element to the challenge. These firms only have to comply with a fraction of the requirements applicable to supervised institutions. In many cases, digital enterprises like insuretech firms operate in areas where, under the banner of increasing access and improving client experience, they only have to comply with part of the requirements applicable in the classic regulated market. I feel that it is important to level the playing field to all insurance distributors. What opportunities are created by digitalisation? The insurance sector in Hungary has been at the forefront of digitalisation. The comparison of insurance premiums through online brokers has become an established practice in third-party liability motor insurance. Insurance companies are also unique in that they have already been providing a significant discount to those clients who choose an electronic payment method or electronic administration. Furthermore, digitalisation is also continuous in the acceleration of internal processes. For instance, 100 percent of Hungarian insurance companies keep online claim files. Moreover, even the claims assessment process itself is digitalised at most companies, or the claims inspection is carried out based on the photos taken or video conferences arranged by the client. These initiatives make our clients’ lives faster and easier. There are also ongoing initiatives at competing firms that provide automotive or accident insurance cover for periods of hours, which may be started whenever necessary. Whether there is an actual demand for such solutions and which innovations will become economically viable are the big questions to consider. How did Post Insurance begin its digital journey? We have come a long way since Post Insurance began operating in 2003, when insurance policies were sold only by way of filling out paper-based forms. During the past 15 years, we have had numerous digital development projects aimed at providing better services to our customers, while simplifying our internal processes and facilitating the work of our sales personnel. For instance, in 2003, a direct digital data connection was developed with the central registry of the Ministry of Internal Affairs in order to process the policies in an accurate and timely manner. Then, in 2005, we launched an electronic support system of insurance mediation at the country’s post offices. Continuous development of this system made it possible for all insurance administration to be carried out electronically at more than 2,300 Hungarian post offices. During the same year, we introduced a document management and file tracking system to support our internal processes. We have been selling insurance policies through our website since 2006. We launched our e-learning system in 2009, which facilitates the training of our staff at post offices and digitalised our claims-handling processes. This year, we plan to fundamentally renew the system in order to utilise the most recent innovations in this field. What other digital solutions have you introduced? In 2011, we entered the social media scene and set up Facebook pages, through which we have been successfully communicating with our clients ever since. Thanks to this early start, we are ranked in first place among Hungarian insurance companies in terms of the number of followers. We introduced a motor vehicle insurance product based on telematics in 2014, and in 2015 we created the Post Insurance mobile application. Many useful functions have been added to our app since then. For instance, we have added the feature of household insurance claims reporting with photos, and we were one of the first companies on the Hungarian market to make video claims assessments available. In 2017, our new digital brand Hello was introduced. Through this, we offer our younger clients insurance policies that can be taken out in an easy and simple way. In the case of Hello, contracting and claims-handling processes are fully digitalised, and customer relations take place through online channels as well. In 2018, we continued to implement our digital innovations in order to ensure that a higher-quality, faster service that could become part of our clients’ everyday lives is provided. Digitalisation is not an end in itself, but it offers the means to provide greater customer value through more efficient and higher-quality processes, alongside a continually improving customer experience. In order to meet the demands of our customers, we constantly have to work on improving each and every element of the insurance value chain. Agility, for us, means that we have to learn continuously and strive to be faster and more customer-orientated than ever before.